Good design, healthy support, and exceptional value are always attractiveâ€”and Sayl delivers all three. 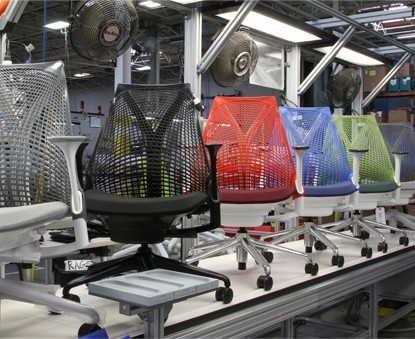 By using smart engineering to transform simple materials, we were able to make Sayl everything a good chair should be. Fewer parts and less material also mean a smaller environmental impact. Sayl designer Yves BÃ©har and our development team considered and reconsidered every part of the chairâ€”and, in the end, created a better, smarter chair that sets the reference point in its class for quality, performance, and design. The vertical and horizontal strands of Saylâ€™s 3D Intelligent suspension back provide passive PostureFit sacral support, which tilts your hips slightly forward to keep your spine in healthy alignment for improved posture and increased comfort. From an optional lumbar support that can be adjusted vertically to fit the natural curve of your spine to fully adjustable arms, you have a choice of options that let you outfit your Sayl chair to match your preferences. By applying the engineering principles of suspension bridges, designer Yves BÃ©har used less material in more inventive ways to provide ergonomic support for people up to 350 pounds (159 kg). 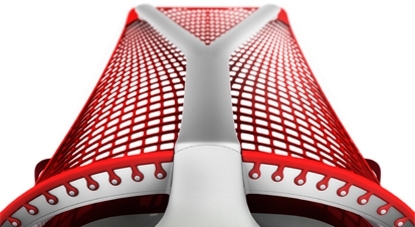 Also, Sayl contains no PVCs, and its materials are almost entirely recyclable. Saylâ€™s unframed back and Y-Tower support create a striking visual aesthetic that reveals both the designerâ€™s inspiration and intent. An expressive color palette gives you plenty of options for personalizing your chair. "The best for the most for the least"
We like working with designer Yves BÃ©har, who designed our Leaf and Ardea personal lights. We like the way he thinks unframed, never constrained by what's expected or typical. 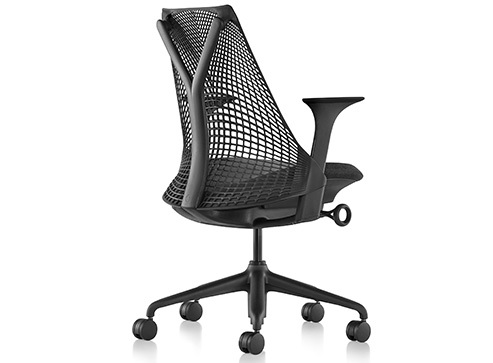 So we went to him when we wanted a highly affordable ergonomic work chair that would incorporate everything Herman Miller is known forâ€”beautiful design, first-class ergonomics, elegant engineering, and respect for the environment. BÃ©har began by scratching a quote from Charles Eames onto his sketchpad: "The best for the most for the least." And then BÃ©har, who calls San Francisco home, took a look at his city's best-known landmark: the Golden Gate Bridge. So there was the concept. 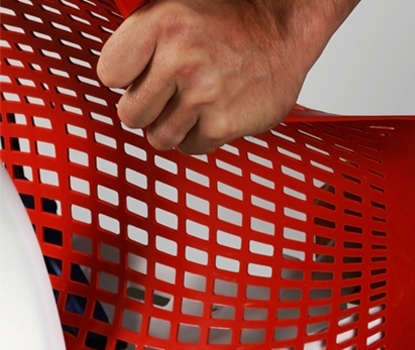 Creating the actual chair wasn't quite that simple. Sayl wasn't designed on a computer. It was sketched and sketched again, and numerous prototypes were built and rejected before the design was right. He describes the process as "draw, build, break, and repeat until you arrive at something unique." So why the name "Sayl?" Take a look at the chair from the side. See the resemblance to a full mainsail? The name reflects the sailing vessels that pass beneath the bridge that inspired the original design. 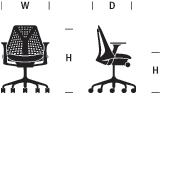 Replacing the "i" in "Sail" with a "y" is a nod to the innovative Y-Tower structure of the work chair. 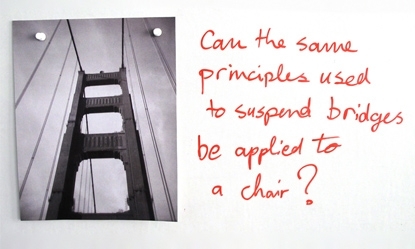 BÃ©har wondered, could the engineering principles of a suspension bridge be applied to a chair? It turned out that not only was it possible, but using a suspension tower to support an unframed back would reduce materials, weight, and environmental impact. The flexible elastomer suspension material could be stretched in a way that provided the greatest tension at points where support is needed and the least in areas that would allow for the most expansive range of motion.